Cunard Line's Three Queens Meeting Liverpool. Crosby Beach 25.5.15. 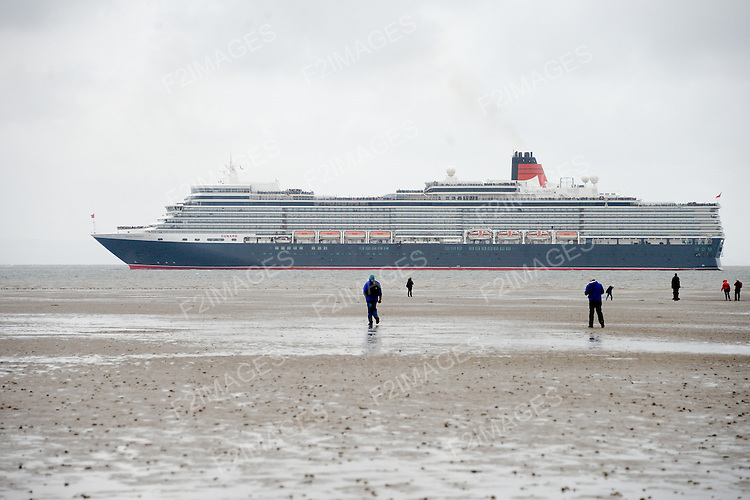 Queen Elizabeth viewed from Crosby Beach on her way into Liverpool.